Price: $42990 - Big Block Coupe for you! THE VETTE NET - Nationwide and International Corvette Brokerage Network has been in business since 1998 and is Lifetime Business Member #991 of the National Corvette Museum. We assist sellers and buyers of Corvettes at an enthusiast level... Think of us as your fellow Corvette Club members. The third generation of Corvettes debuted with the 1968 model, a new design under the same name Stingray, now spelled in one word. Our offer today is a beautiful 1968 Big Block Coupe which was enjoyed for a long time by an enthusiast from Florida for 21 years. 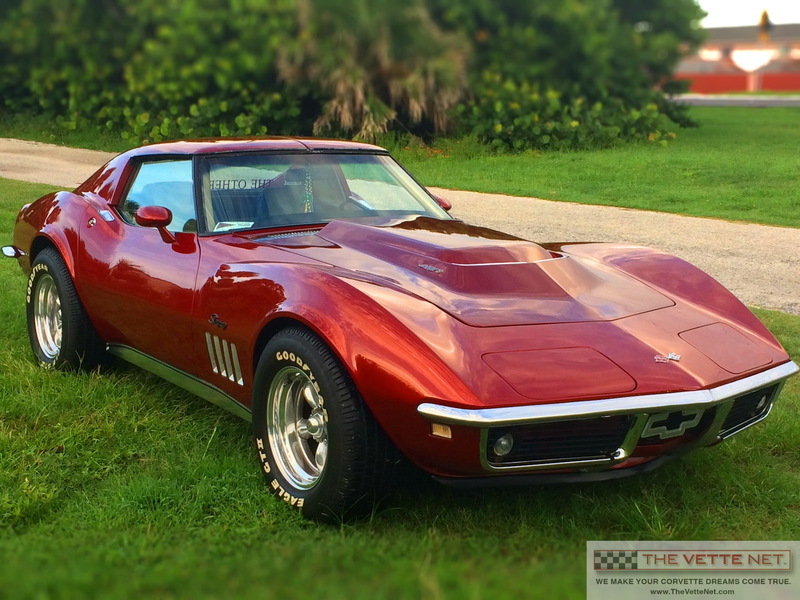 It features a stunning Dark Red paint reminiscent of the 1967 Marlboro Maroon, a base coat/clear coat application. Interior is the original Tobacco, a Darker Beige standard of the era, now protected by coordinated seat covers. The rest of the interior is also original which survived in great shape as seen in the pics. All gauges and instruments work as they should. The “piece de resistance” of the car is the original correct 427 engine which has the correct VIN on the engine pad and the suffix IM indicating the 400 HP tri-carb rating, however, it now features a 390 HP single carb set-up. Engine is mated with the automatic transmission which was rebuilt in 2007 and endowed with a shift kit. It was always treated with Royal Purple Oil Change twice per year regardless of mileage. Note the extreme quality of the engine detail which won its owner quite a few awards. Some 10 years ago, suspension was freshened up and now has poly rear springs, rear camber strut rods, Crossmember reinforced kit, poly differential bushing kit, Billstein shock, all concurring to a very nice and stable ride. Chambered exhaust was added at the same time as well as stainless steel brake calipers. Other options include Power Steering and telescopic steering column. Undercarriage is very clean and needs nothing. For information about this car, call anytime Ken at 866-838-8363 (866-VETTENET toll-free) or email Ken@TheVetteNet.com .